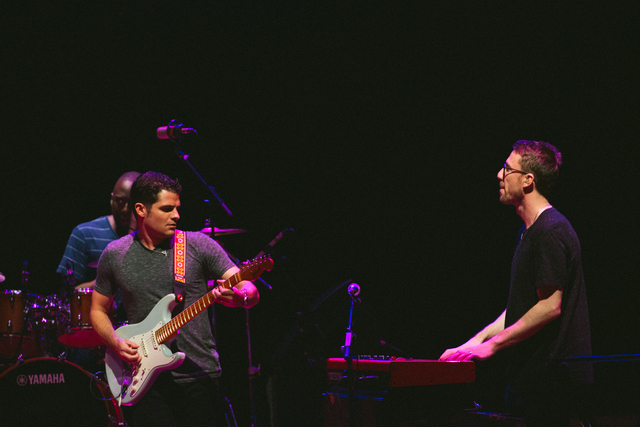 Brooklyn-based fusion outfit, Snarky Puppy, seem to the be unique jazz act out in the world today that manages to unite the young and old. 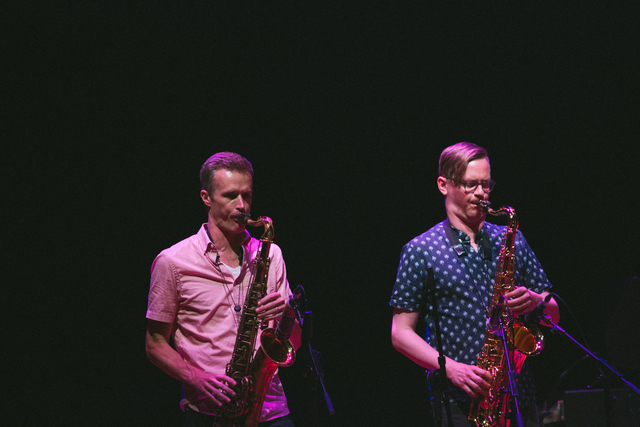 Their adventurous dynamics and modern groove attracts kids who would otherwise be uninterested in jazz, while their technical foundation and exquisite craft impresses even the most jaded veteran purist. And judging by the mix of fresh-faced teens (likely music students) and working adults (the expected jazz fanbase) in attendance at the Esplanade Concert Hall last night, that theory holds true in Singapore too. Perhaps that's why Michael League's extraordinary league are so oft-booked as well. From their Lion City debut in 2014 at the Kallang Theatre to their SingJazz Festival slot at Marina Bay Sands last year, this 2016 return (also promoted by SingJazz) marks their third time performing in Singapore in three years. While that may seem like a lot, not a single person is complaining because they're so absurdly good, and because their measureless creativity always ensures that Snarky Puppy has new material in tow. 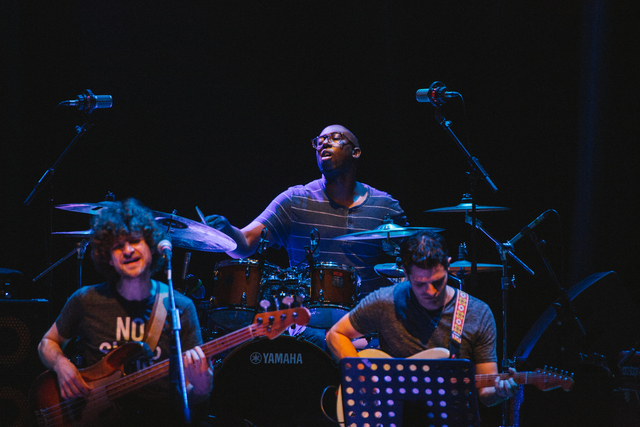 As we mentioned in our feature explaining why Snarky Puppy are a true musician's band, in between their 2015 and 2016 shows in Singapore, the tireless ensemble have recorded three new full-length albums, each distinct and stunning in their own ways. So as expected, the bulk of their setlist would be devoted to their world music-influenced latest record Culcha Vulcha, but that's a story for later. First we must give kudos to their wonderful surprise opening act Michelle Willis! 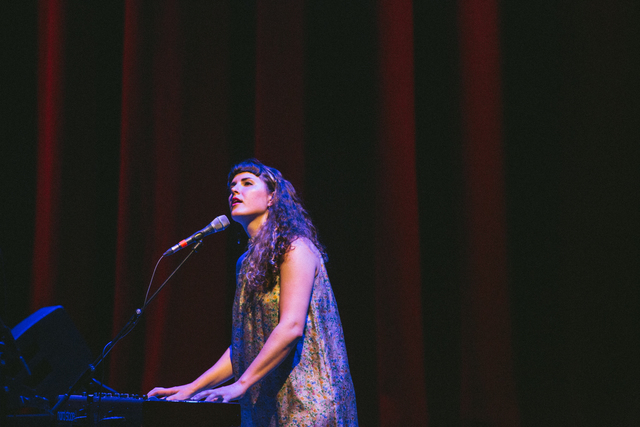 Most fans would no doubt already be aware of the Toronto-based singer-songwriter after her standout guest starring role on 'Sing to the Moon', taken off Snarky Puppy's recently released Family Dinner Volume 2 (also featuring Laura Mvula). But outside of that brief spotlight, not many in Singapore would likely be intimately familiar with her solo work. Well, that's sure to change after her awe-inspiring opening performance last night. Wholly assured, charismatic and enviably talented, the golden-voiced Willis launched into fantastic renditions of her own originals, mostly comprising of tracks featured on her debut album (not-so coincidentally released via Snarky's GroundUP Music record label) See Us Through - alongside her collaboration with Snarky Puppy naturally. She's clearly set for big things in the second-half of 2016 and beyond, and it doesn't hurt to have Snarky Puppy as her backing band for her first impression in front foreign audiences. As enamored as we were with Michelle Willis though, the main course was yet to come. But after being made to wait just a tiny bit longer during a brief intermission, the crowd were overjoyed to see the eight-man strong headliners finally make their way onstage. 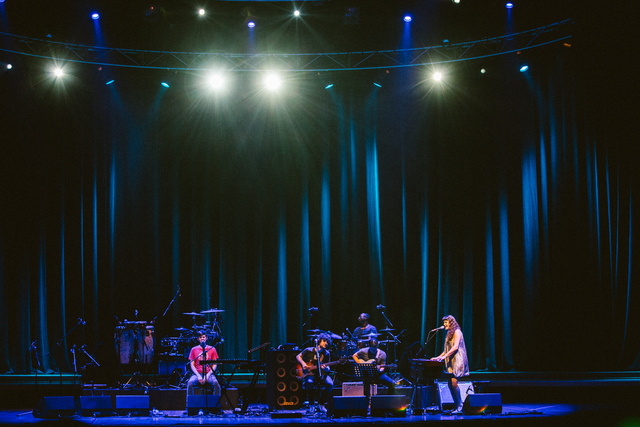 As discussed earlier, their eye-opening work on Culcha Vulcha certainly added a fresh dimension to their live show here (not to mention the Esplanade Concert Hall's superior acoustics) in front of a familiar audience of die-hards. The band has always had a bit of Afro-Cuban in them, but their new material, drawing from strains as varied as Highlife, East Indian modalism and Brazilian samba (making expert use of their dual drummers), is especially potent and energetic. Combined with their usual knack for seamlessly interweaving Southern soul, Motown funk, hard bop and psychedelic rock, its easy to see why this year's iteration of Snarky Puppy could be considered the most interesting and progressive version of the band there's ever been. Well until next year's evolution at least. But as invigorating as their new material was, no paying audience would ever let the band go without at least a playing couple of their older hits. Which is why after Snarky Puppy bid goodnight to the audience in conclusion of a marvelous set, the crowd, almost unanimously on their feet, refused to cease their ovation until the band returned for an encore. 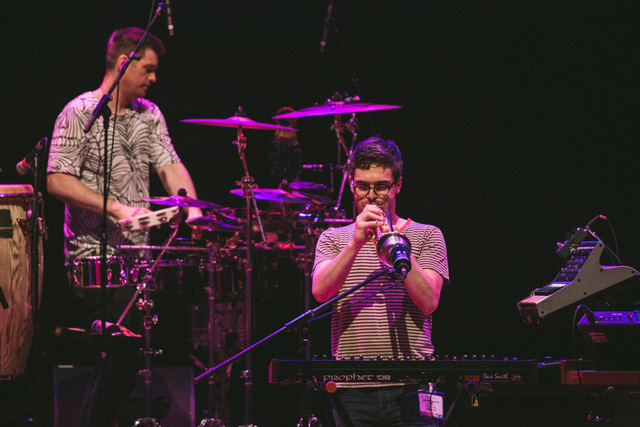 Being the gracious professionals that they are, Snarky Puppy were more than happy oblige with a rousing, awe-inspiring rendition of We Like It Here's ever-popular opening track 'Shofukan'. In this instance, third time's definitely the charm because their Esplanade showcase wasn't just excellent - it was easily the best of their trilogy of Singapore gigs. The band frequently records their albums live in order to replicate that same virtuoso kineticism for the listener at home or on headphones, but as we can attest, nothing beats catching the real thing in a live setting - nothing. Snarky Puppy are unquestionably best in show.